The Lion Dancing tradition dates back thousands of years. According to legend, a Chinese Emperor had a dream in which he was attacked by demons and saved by a lion. From that dream comes lion dancing. traditional lion dancers, accompanied by symbols and a drum, dance to scare away demons. 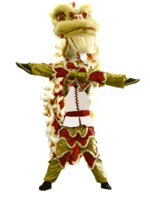 In class, we train in lion dancing to prepare for the San Francisco Chinese New Years Parade as well as other events. 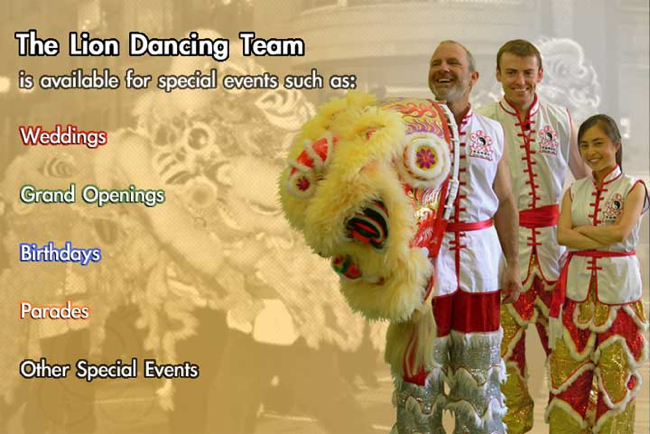 Please contact Doc-Fai Wong Martial Arts Centers for details on scheduling the Lion Dance Team.